Is your flagpole prepared for winter? How does your flag look? Winter has officially arrived. No, it is not December 21st yet but the polar vortex has already hit our nation. 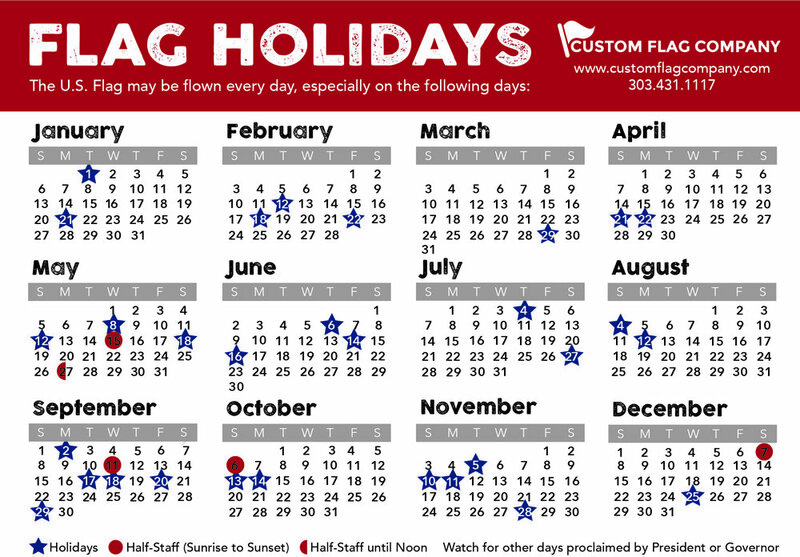 Taking a few minutes to look at your flagpole today can prevent costly repairs in the months to follow. And you can ensure your flags look tip-top. Rope/Cable: Is your rope fraying? Do you see obvious wear? High winds, extreme cold, snow, and sleet can result in a broken rope or cable. Replacing the rope from the ground as a preventative action will save the cost of sending us to the top of the flagpole in the event your rope breaks. Truck/Pulley: Does the rope raise and lower smoothly? Is it snagging on the pulley? Is it getting stuck? Snaphooks: They wear out and need to be replaced every 2-3 years. Replace them before they break or the flag won’t look good flying by one snaphook. Snaphook covers: They help decrease the noise. Metal on metal all night doesn’t sound good. Snaphook covers need replaced every couple years. Flag(s): Does your flag look fresh and clean? Is it faded? Is it dirty? Is it tattered? We can clean and repair your flag to prolong the life of your flag and we can get a bright new flag flying in time for the holidays. Please contact our office via phone or email right away and get your pole and flag “winterized”. We are here for your spirit, image, and visibility needs. Posted on November 21, 2014 by Kim Griebling.